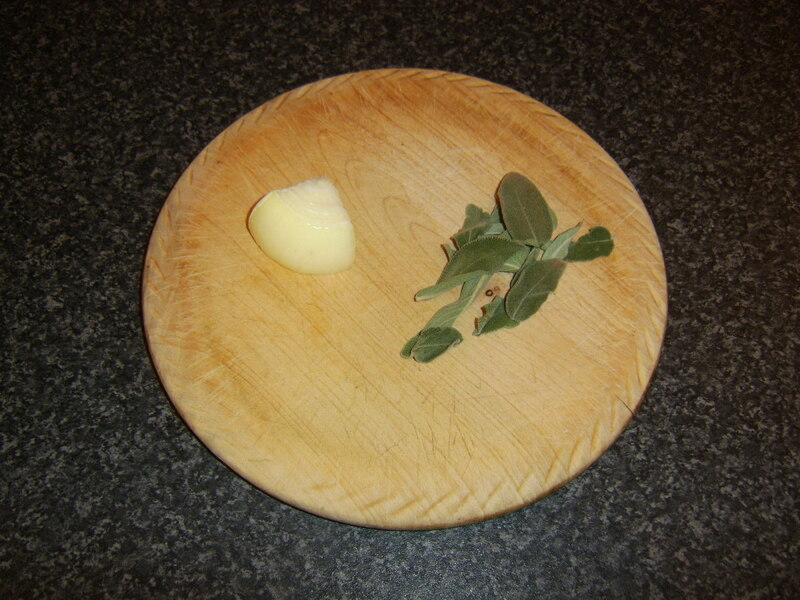 Butter and fresh herbs are frequently used in combination when cooking. 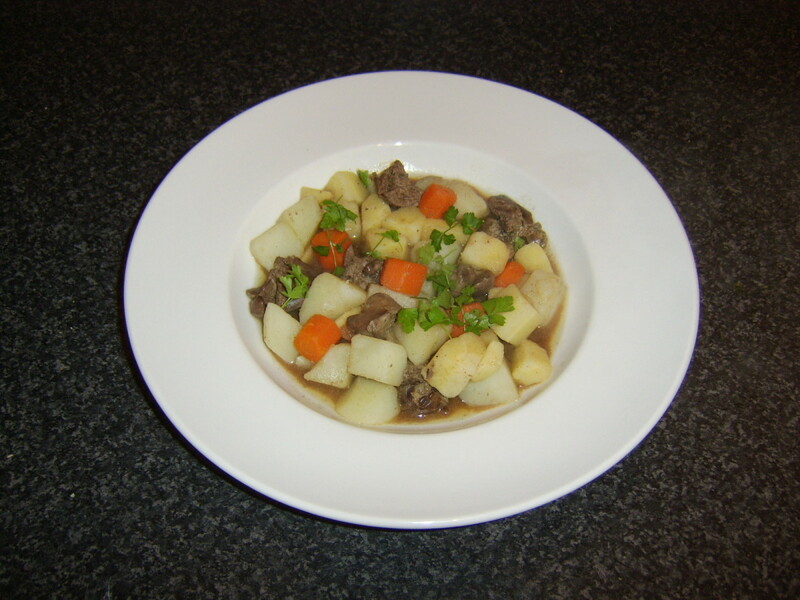 Whether it be as a simple dressing for boiled potatoes, or as part of a rich beef stew, the two are regularly found on the same list of ingredients. Where the herbs and the butter have been precombined in the method shown on this page - and particularly in the simpler recipes - the infusion of flavours can be considerably more intense. Below you will find simple instructions for making different types of herb butter, as well as a starter for ten on ways in which they can be used in cooking to further enhance your home kitchen creations. Do note, however, that the herb butter will require to be made several hours in advance and left to cool and set (preferably in the refrigerator overnight) before it can be used. 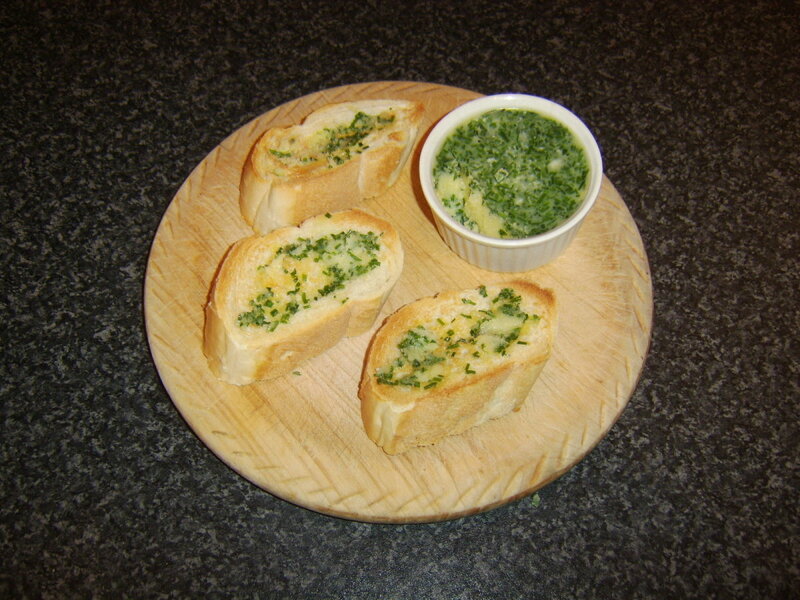 This recipe for chive and garlic herb butter shows the basic techniques used on every occasion. 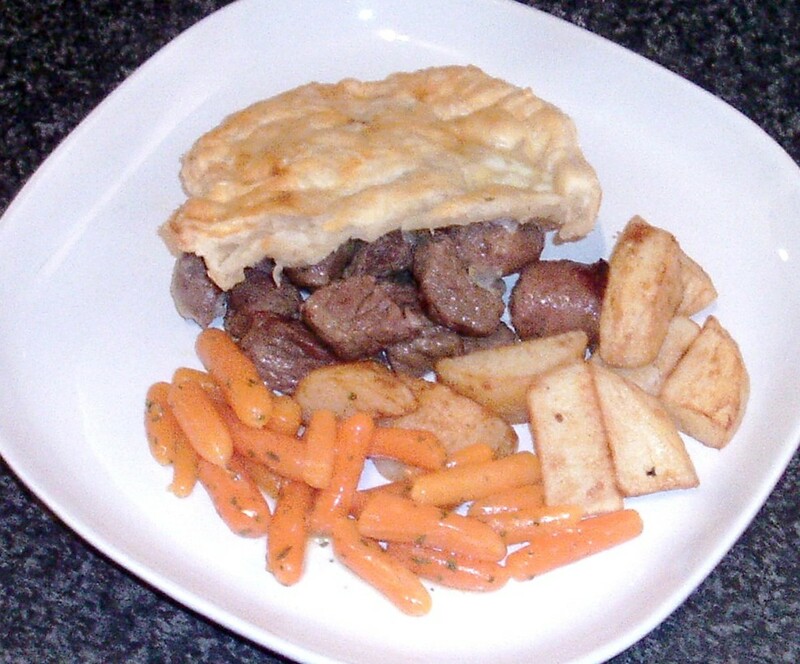 The whole process from start to finish (not including cooling and setting times) takes only around five minutes and requires no great level of cooking ability whatsoever. You will need a small, 3" ramekin, a small saucepan, a small mixing bowl, a hand grater and ideally a plastic food cover with which to protect the herb butter in its initial cooling and setting stage. It is important to begin by pointing out that this procedure does not work with margarine or oil based spreads unsuited to cooking. You have to use full fat butter. 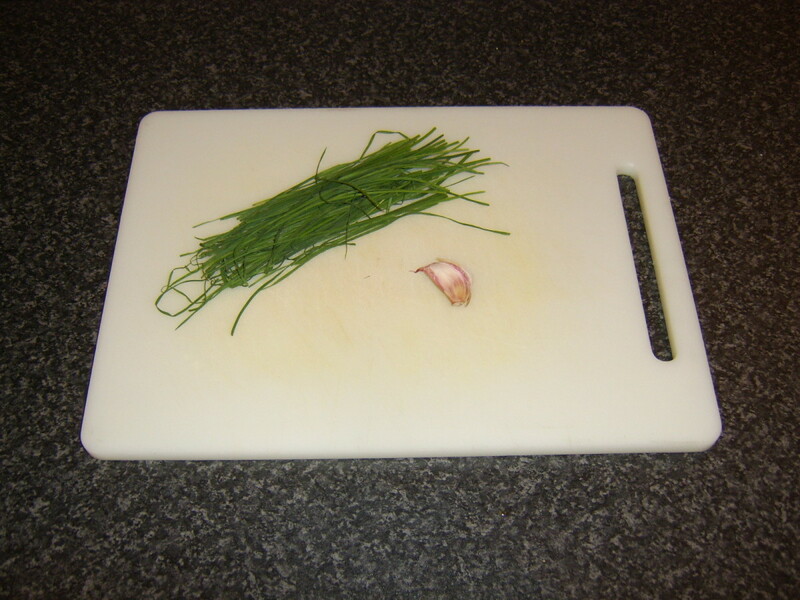 Wash the chives, dry them, finely chop and add to a small mixing bowl. Peel the garlic clove and grate it in to the chives. Stir to combine before carefully spooning the mixture in to the ramekin. Do not press it down. 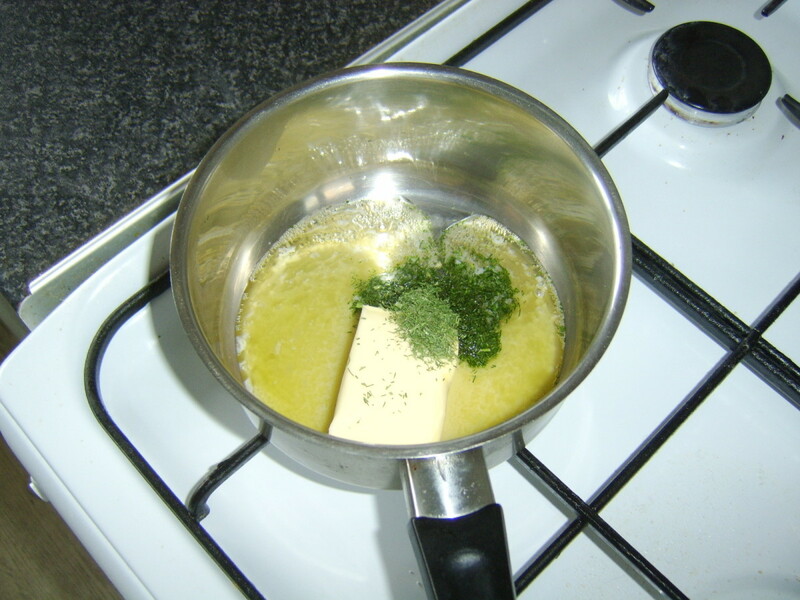 Add the butter to a small saucepan and put it on a gentle heat. Season with a little white pepper (and a little salt, if desired). 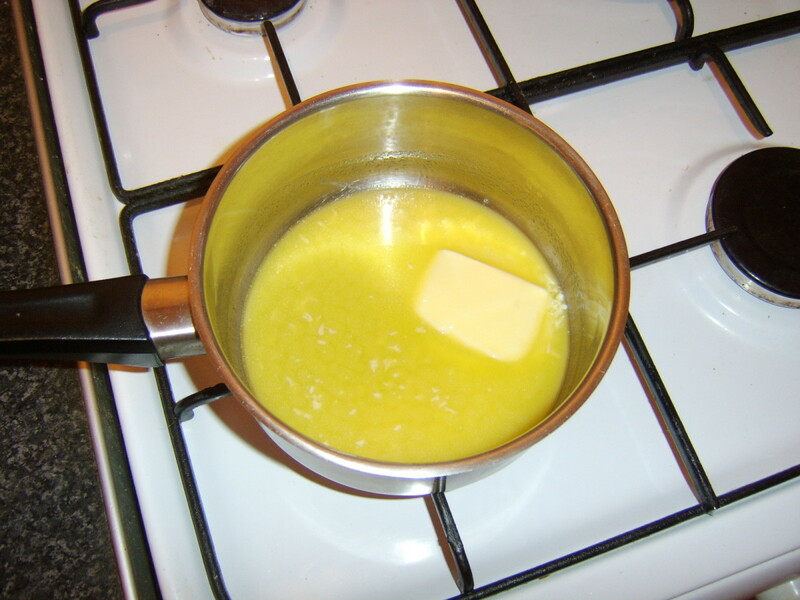 When the butter is about 80% melted, remove it from the heat and gently swirl the pan around. This will allow the melting process to complete in the residual heat only and prevent the butter from starting to split. 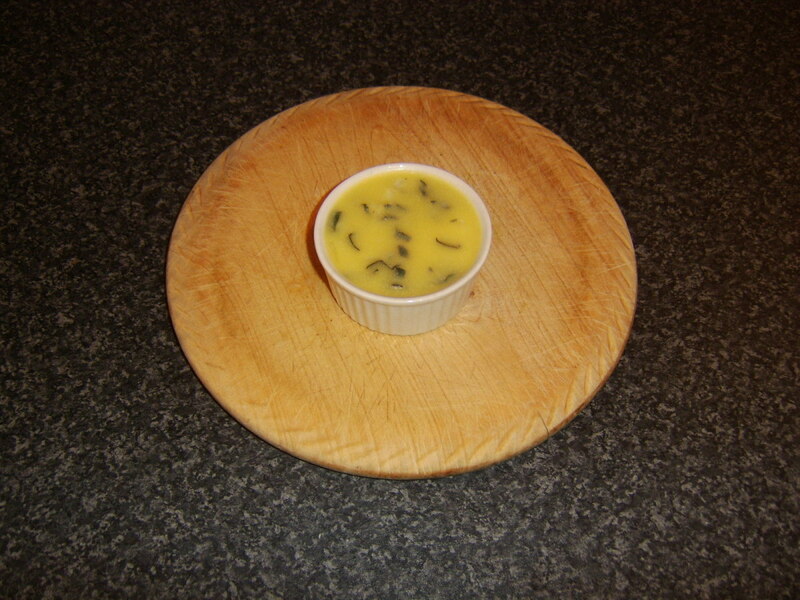 Pour the melted butter carefully in to the ramekin. It should come almost right to the top. Cover with the plastic food cover and leave for at least an hour to cool and begin setting. 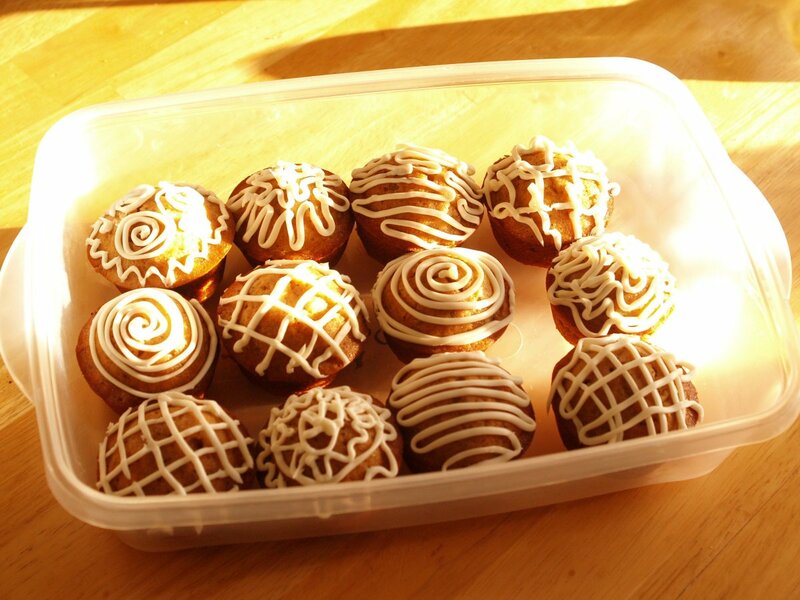 After this time, wrap carefully with clingfilm and refrigerate. The herb butter will set very hard in the refrigerator. 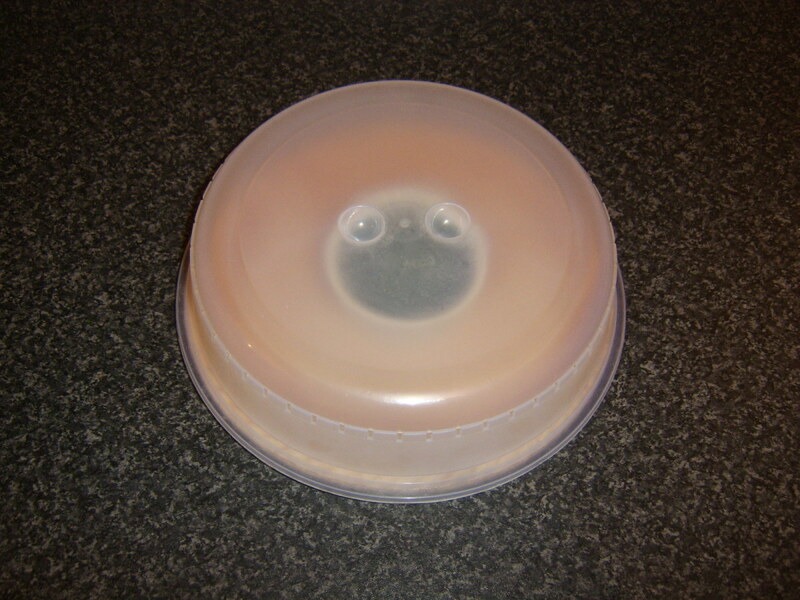 Depending upon the purpose for which you intend using it, therefore, you may wish to remove it from the refrigerator a couple of hours before use. 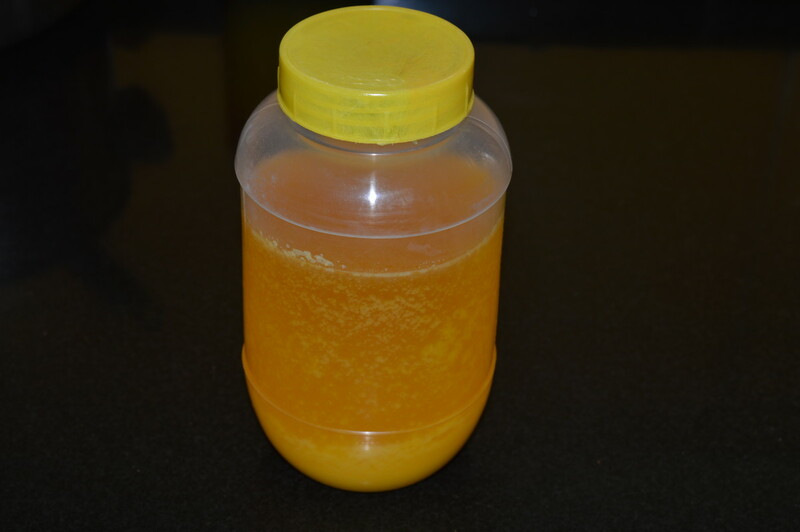 This would be particularly important where it is to be used to be spread on fresh bread or served only with any other cold foods. This is one of the simplest ways of all of using herb butter but it is absolutely delicious. It has simply been spread on some hot toast, as would ordinary butter. 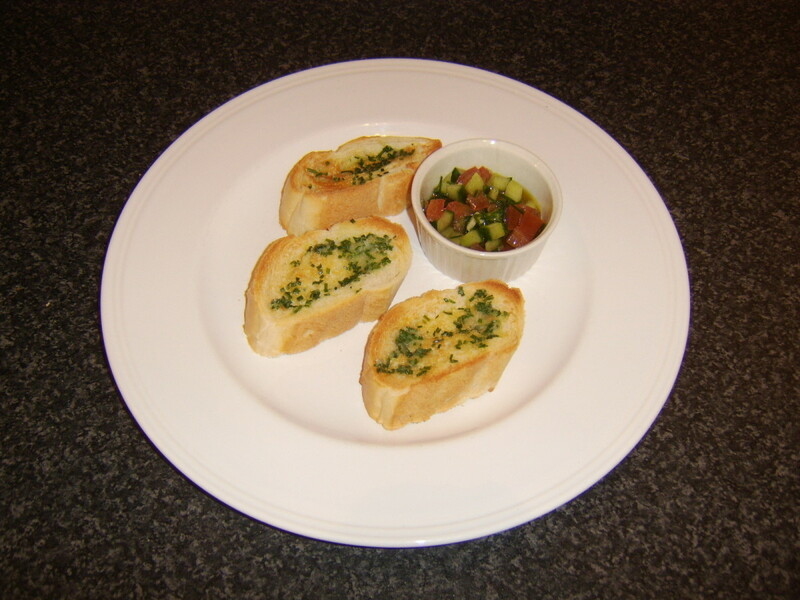 The bread slices in this instance have been cut from a French stick and are served with a small portion of simple salsa as a starter or a snack. The salsa is seeded and chopped tomato and cucumber, chopped basil, grated garlic and salt and pepper mixed in extra virgin olive oil. Sage and onion is a classic combination, perhaps most commonly associated with making stuffing for turkey. As sage is a very strongly flavoured herb, it is wise not to use too much in your herb butter, at least until you have made it and tried it. 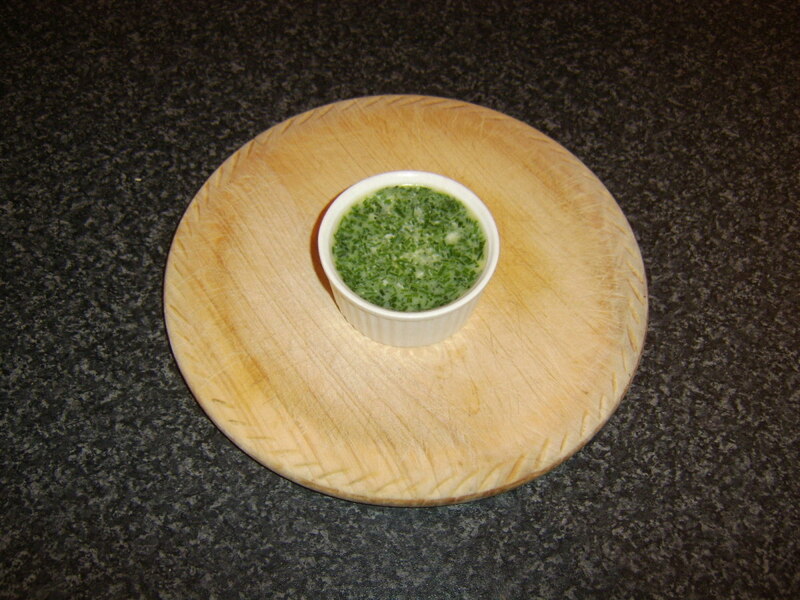 In this example, one teaspoon of roughly chopped sage and one of finely chopped onion are mixed together and added to the ramekin before the three ounces of melted butter is poured in. 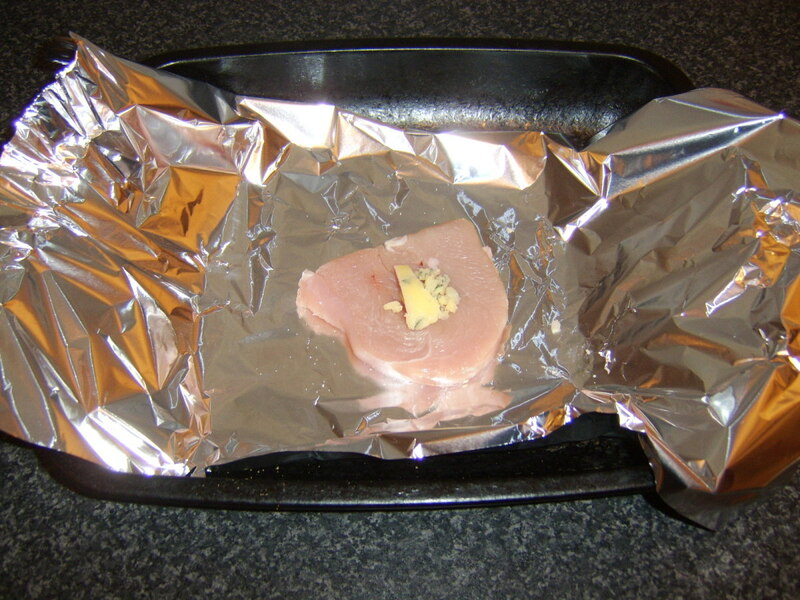 This small turkey breast fillet was firstly lightly seasoned with salt and white pepper on both sides. Around a teaspoon of sage and onion butter was then added to it before it was wrapped in foil and baked at 190C/375F for twenty-five minutes. 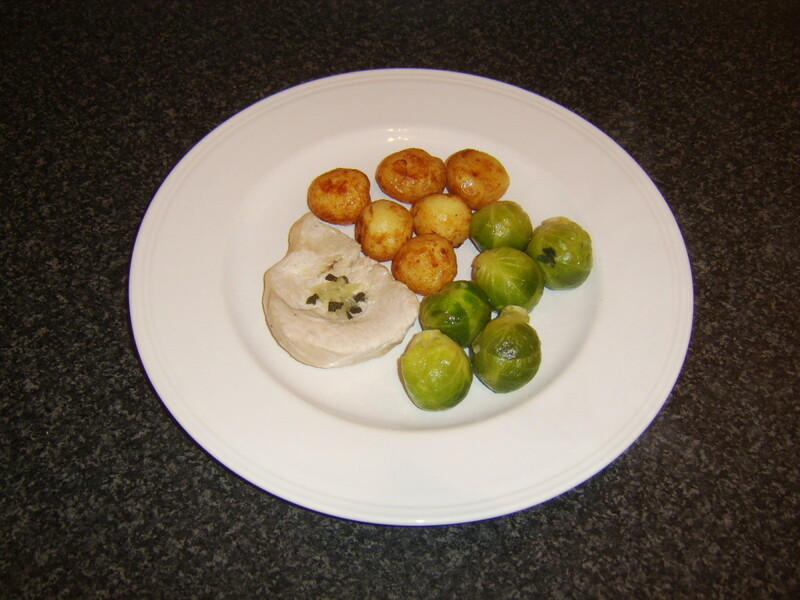 It was served with pan roasted potatoes and Brussels sprouts. The sprouts were drained, returned to the pot and swirled in a little more of the herb butter prior to being plated for immediate service. Can I Make Herb Butter with Dried Herbs? Unfortunately, the answer here has to be the often infuriating, yes and no. Yes, it is entirely possible to make herb butter with certain dried herbs; but no, in the sense that it will not be likely to be of the same quality as that made with fresh herbs. 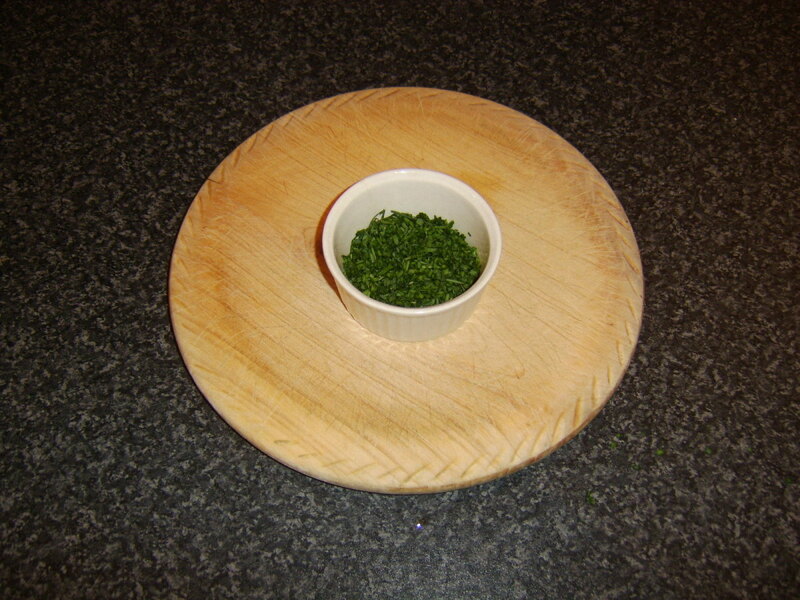 One dried herb which does work particularly well in herb butter, however, is dill. 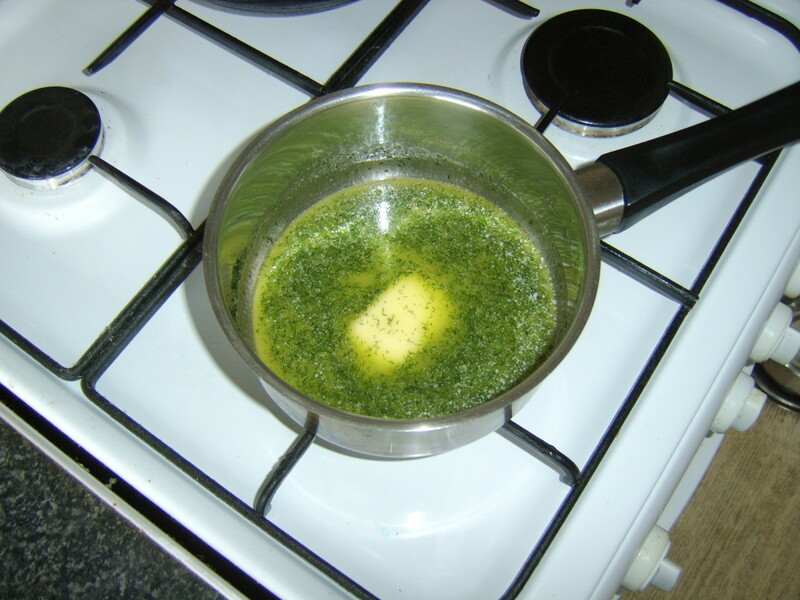 The principal difference when using dried herbs is that the herb should be added to the butter in the pan as it melts. Two teaspoons of dried dill were used in this recipe but less should be used for stronger flavoured herbs. 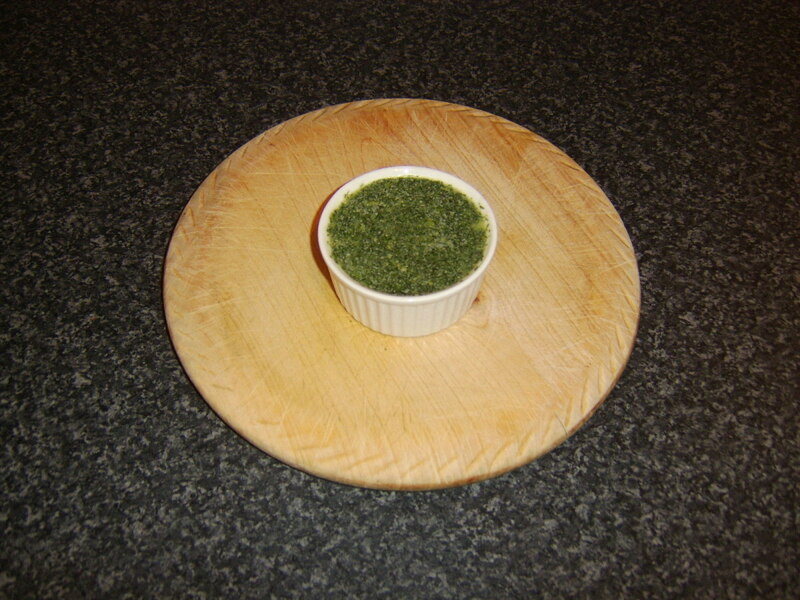 The whole mixture is then poured in to the empty ramekin. Do note that harder dried herbs, such as thyme or rosemary, are least suited to making this condiment but, as always, experimentation often pays dividends and do try this out with herbs of your own choice. This is another incredibly simple recipe idea incorporating herb butter. 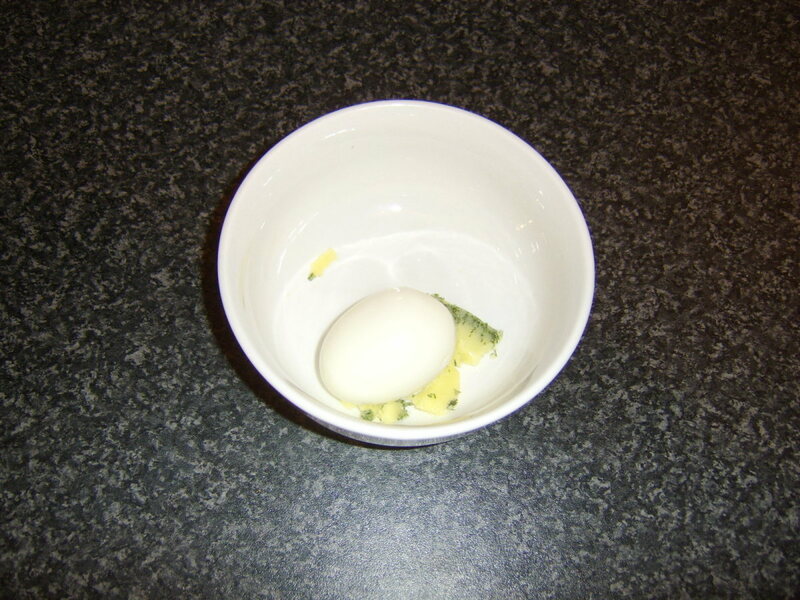 A hard boiled egg is peeled and mashed in a bowl with a little bit of the dill butter, some salt and white pepper. 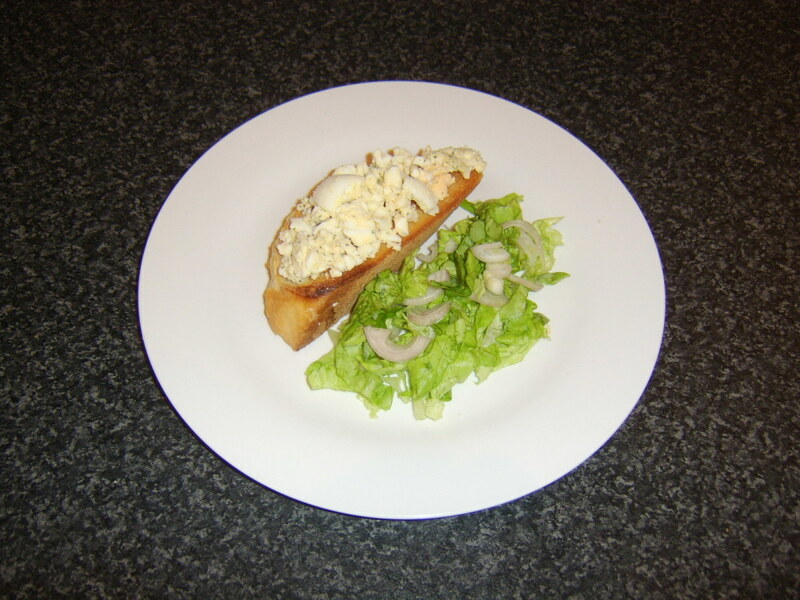 It is then spread on warm toast and served with a simple salad of shredded lettuce leaves and finely sliced shallot. Alternatively, the shallot could also be mixed in with the egg. This makes a perfect light lunch or simple snack and the egg mix could of course be served cold. What Type of Herb Butter Are You Going to Make? The number of different herbs and other ingredients we can include in herb butter is all but limitless and the number of uses to which we can put this simple creation is even greater. 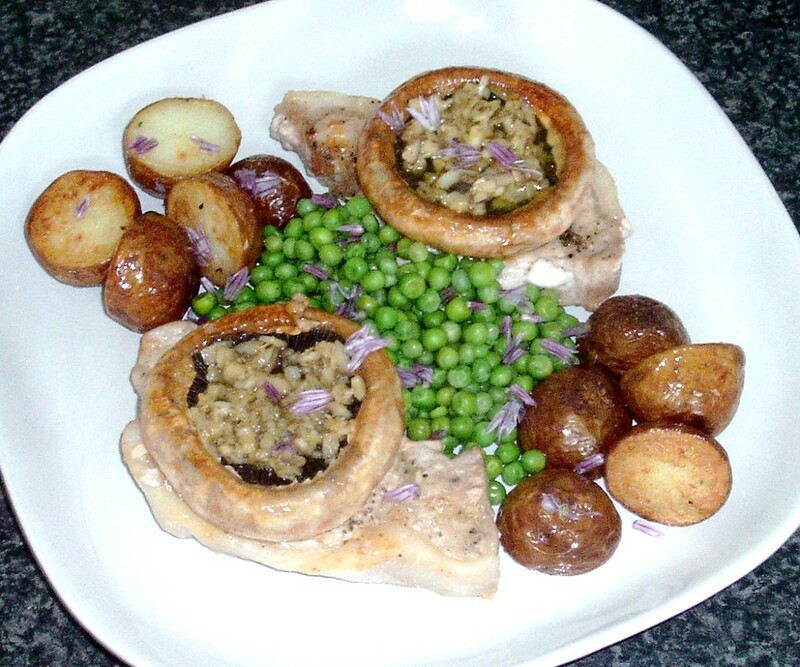 Why not do a bit of experimenting with your favourite herbs and meals to see what you can come up with? 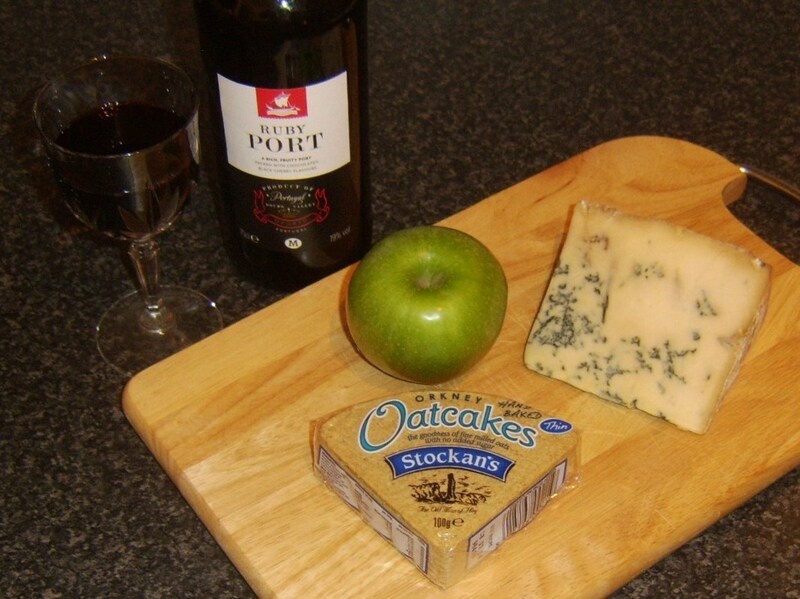 Thank you for visiting this page and I hope you come up with some tasty, personalised creations. Thanks Ytsenoh! White pepper.....good idea! Yes, they are definitely the side dishes, Patsybell. Thanks for visiting and commenting. Ah, I think bread and potatoes are only a means of conveyance for this delicious butter. Hi, Sheri. I'm glad you're familiar with and use herb butter. It's not only so straightforward to make, it is also so incredibly versatile. I love experimenting with different herbs and different uses. Thanks for stopping by and commenting. 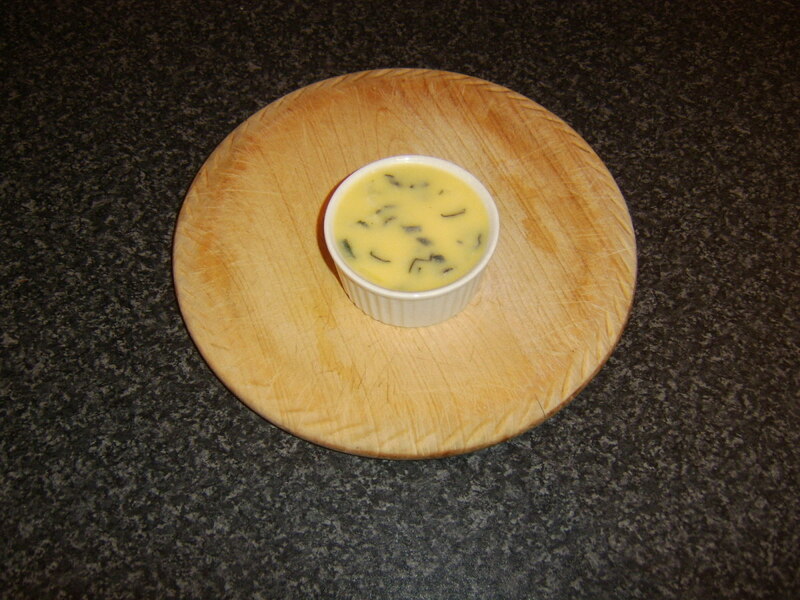 Great ideas on how to make and use herb butter. 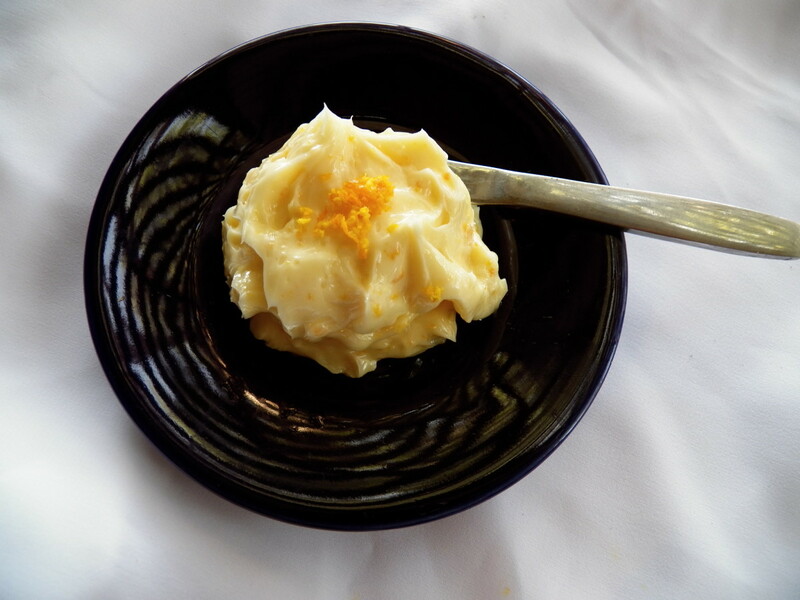 I just published a hub a few days ago with my own recipe for herb butter....a bit different than yours. I love the dill/egg idea and will try it. Come on spring so I can harvest my herbs! Thanks, Liz. Hope you enjoy it if you give it a try. Hi, Simone and thanks for visiting and commenting. I usually have some sort of herb butter in my fridge and love experimenting with different versions. The concept is so versatile. 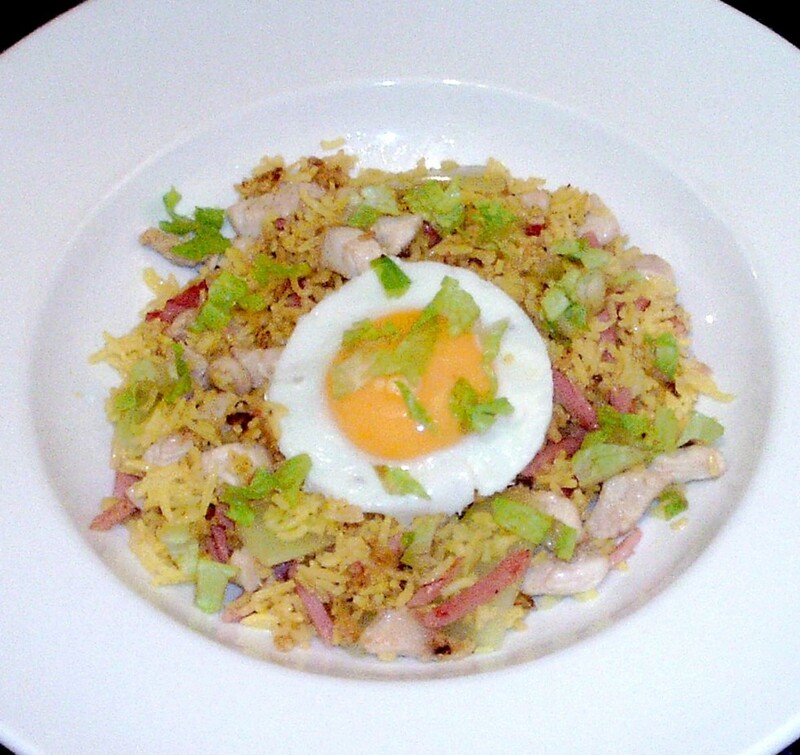 The egg idea was delicious and I hope you enjoy it if you give it a try. Yum, such great ideas for flavored butters...mmmmm. 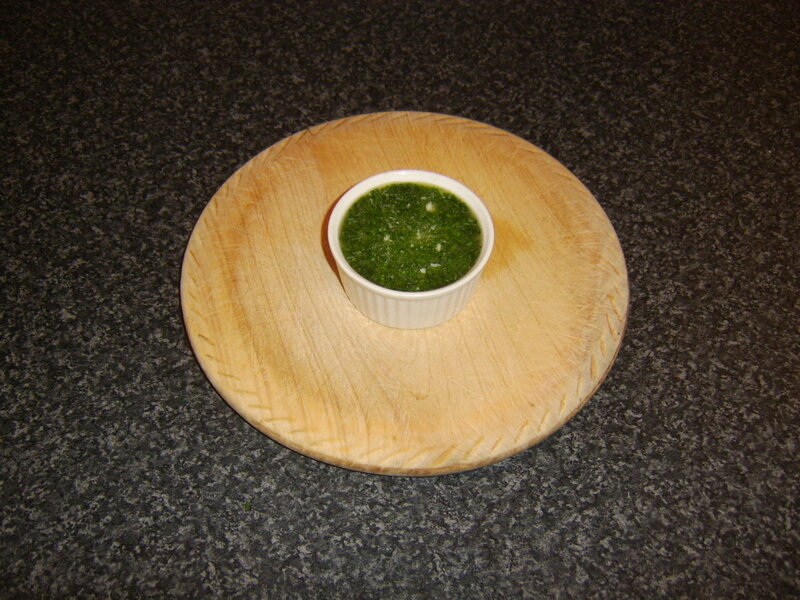 Oh goodness gracious me, I've never made my own herb butter before, but now I really want to! I mean, the stuff is divine on its own in my world, but the extra flavor herbs bring in certainly isn't a bad thing. Thanks for the guide- and the cool herbed butter dishes! I totally want to go for the hard boiled egg on toast with salad. Hello, ytsenoh and thank you very much for the visit and wonderful comment. I'm glad you like the ideas and I too am a big fan of white pepper. I hope this page has given you some ideas and that you're going to give herb butter a try for yourself. Bookmarked. Thumbs up all the way to the sun that just happens to be out today! Excellent work on great accompanying images and instructions. I loved all your suggestive ideas. Keep them coming because you most definitely have a passion for cooking with flavors. White pepper is a great addition to anything, and sometimes makes food pop more than regular ground black pepper.